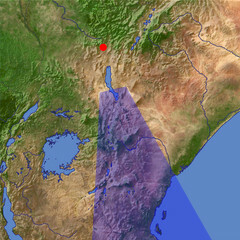 View southward across the eastern part of the African Rift Valley. 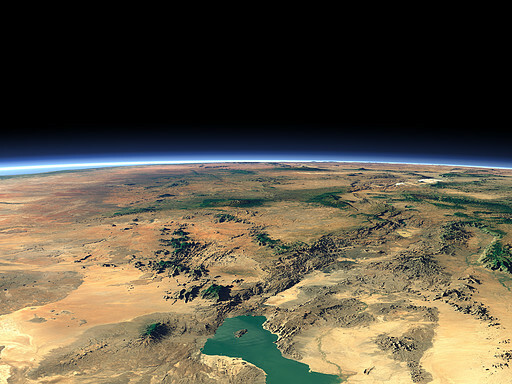 In the foreground there is the southern part of Lake Rudolf. Mount Kenya can be seen in the center and Mount Kilimanjaro in the far background. The Rift Valley continues on the right while you can see the Indian Ocean on the far left. what will happen it it keeps growing and what will happen to africa its self?